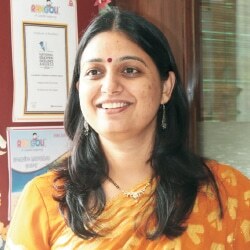 Rangoli lays emphasis on identifying and nurturing the natural talent of its students and making learning a matter of sheer joy, as a preschool begins the process of the child’s initiation into the world of education, says Anamika Anjaria, Director, Rangoli Group of Institutions, in conversation with Elets News Network (ENN). 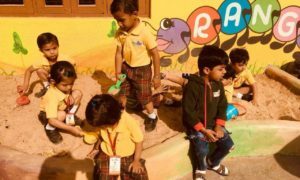 What differentiates Rangoli Preschool from other preschools in India? Rangoli lays equal emphasis on both playing and learning, prepares the under structure for the holistic development of children, offers guidance to parents and serves the community at large, is run by a highly qualified teaching staff, offers ageappropriate programmes, and allows a child to be expressive due to the personalised treatment given at Rangoli. 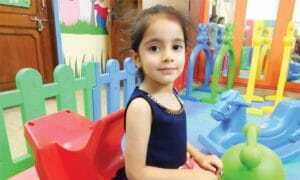 All these unique features make us different from other preschools in India and the best one in Western India. Along with educational qualifications and experience, on what other parameters teachers are evaluated before they are recruited by the school? Rangoli Preschool believes in recruiting, training and retaining the best-in-class talent. Apart from educational qualification and training, we also look for teachers who are kind and humble in approach, are of expected moral character, have mastery over instructional (including interpersonal) skills to be effective in class, and can use their skills and knowledge to best fit the needs of the school. They also need to have the ability to work with diverse groups of students and parents, have the desire to work in extracurricular assignments, and an aptitude that meets the expectation of the local community. Rangoli lays emphasis on identifying and nurturing the natural talent of its students and making learning a matter of sheer joy, as a preschool begins the process of the child’s initiation into the world of education. 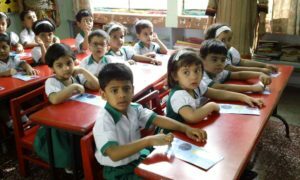 How does the curriculum followed at Rangoli focus on overall development of children? Rangoli lays emphasis on identifying and nurturing the natural talent of its students and making learning a matter of sheer joy, as a preschool begins the process of the child’s initiation into the world of education. Since it is the first rung of the ladder, it is essential that the curriculum is designed after taking into consideration the inputs from teachers and eminent educationists. We at Rangoli have done just that and designed a courseware that has a sharp focus on socio-emotional, creative, language, physical, cognitive, intellectual, moral and aesthetic development. Which other developmental areas Rangoli focuses on along with the formal education? The developmental areas covered at RANGOLI Preschool include physical development, social and emotional development, cognitive development and language development. 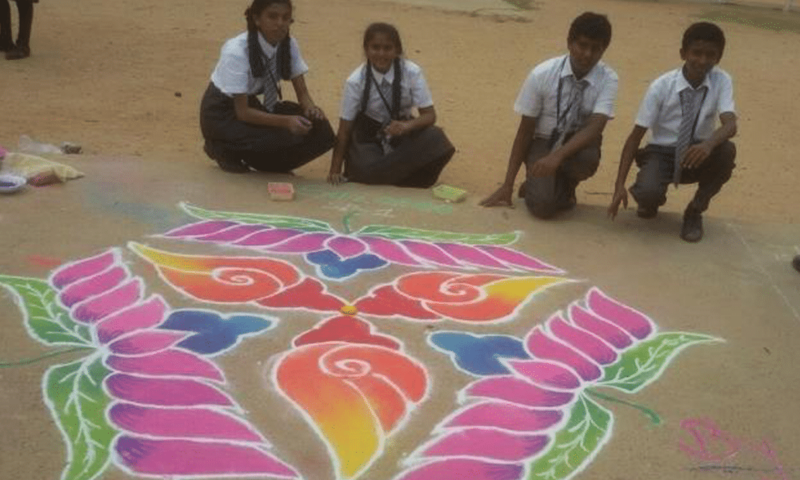 Celebrations are an integral part of Rangoli curriculum. We celebrate different religious and national festivals as part of social development. There are also numerous special days celebrated at the school like Parents Day, Grandparents Day, etc. Throw some light on the toddler care programme offered by Rangoli. The toddler care programme seeks to ensure that infants get a safe, healthy, emotionally secure and intellectually rich start in life. Our toddler programme uses hands-on exploration and social interaction in safe, engaging surroundings to help the toddlers learn about their expanding world. Through the guidance of our early childhood development professionals, toddlers learn to enjoy learning experiences that promote their independence and social skills, and foster selfconfidence.